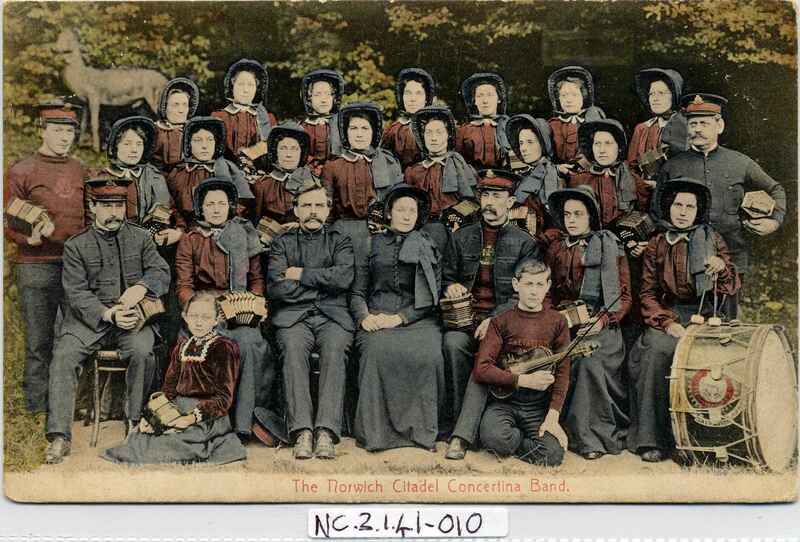 Full Description: A Tinted Post Card of “The Norwich Citadel Concertina Band&rdquo;, possibly c1905. A fine and sharp image of 25 band members,(the majority of 19 players being bonneted ladies), almost all holding Anglo Concertinas. A younger girl and boy to the front play Anglo and fiddle, and one lady holds Drum-sticks next to her decorative bass drum. Unused divided rear, publishers L Ishill, Norwich, printed in Saxony.